14978 ft (4565 m) . Mount Meru is the fourth highest volcano in Africa, and the only one of the great isolated stratovolcanoes of East Africa which is still active. 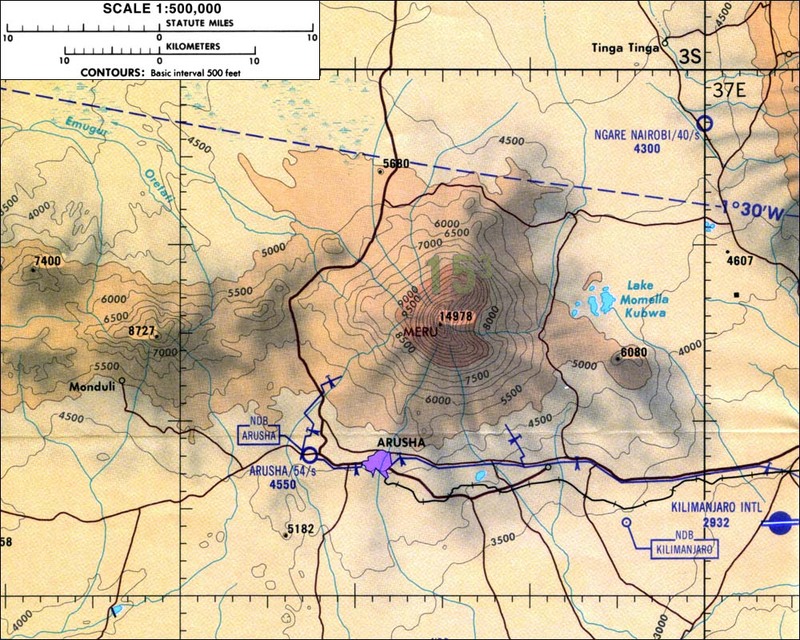 The steep, youthful cone of Meru rises over 10000 ft (3000 m) above the city of Arusha located on its southern edge, in a distance of only 10 miles (16 km). 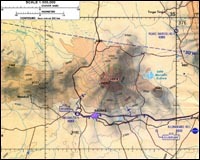 Meru's upper slopes were shattered by a massive eruption about 7800 years ago, which formed its oblong 5 mile (8 km) wide caldera that is open to the east. The main summit lies on the western edge of the caldera, perched above the active 12000 ft (3600 m) high crater known as the Ash Cone. 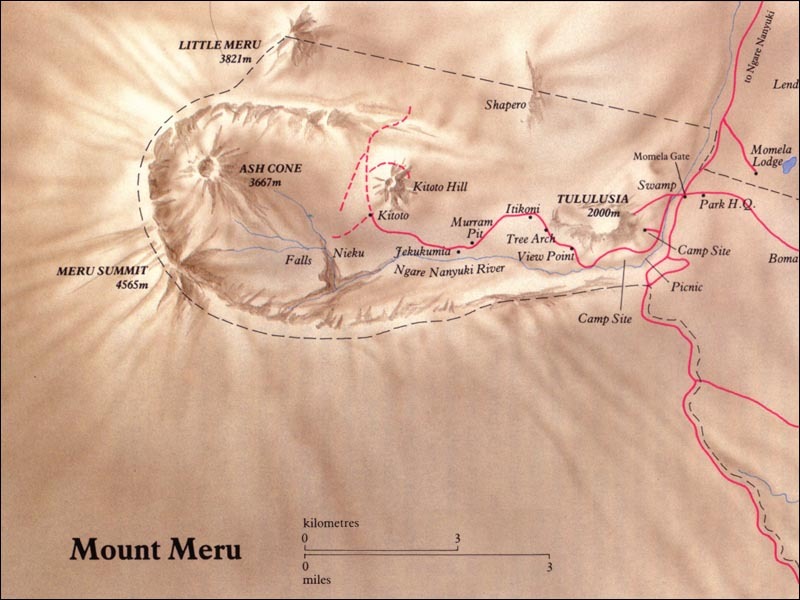 Meru sits just below the permanent snowline, so there are presently no glaciers or snowfields on its slopes, and the caldera-forming eruption erased any evidence of the Ice Age glaciers which may have once crowned it. Snow does still occasionally fall on the upper slopes of Meru, so a short ski descent may be possible if the conditions are just right. 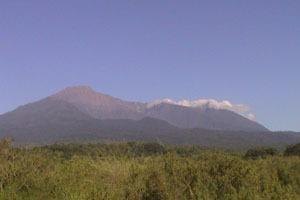 Most of the eastern part of Meru lies within Arusha National Park, and the standard trekking route is an easy ascent up the ridge from the east. A steeper, more direct ascent is possible from the west up lengthy scree slopes, which bypasses the park and its red tape and fees.